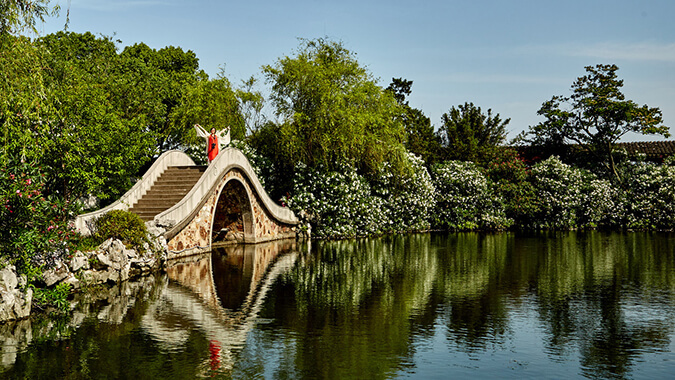 Li Garden is located in Qingqi village which is on the north bank of Li Lake, Wuxi city of Jiangsu province. 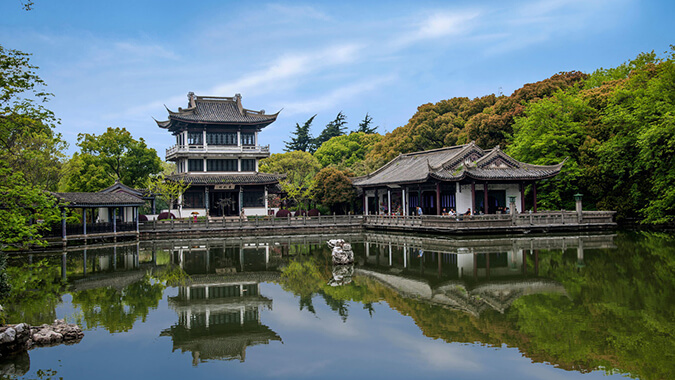 The shore of Li Lake with Beautiful scenery in Wuxi is one of the main attractions of national key scenic spot “Tai Lake”, which is also a national AAAA level scenic spot. Li Garden covers an area of 123 mu with two fifths of which is water area. It’s famous for its water feature. 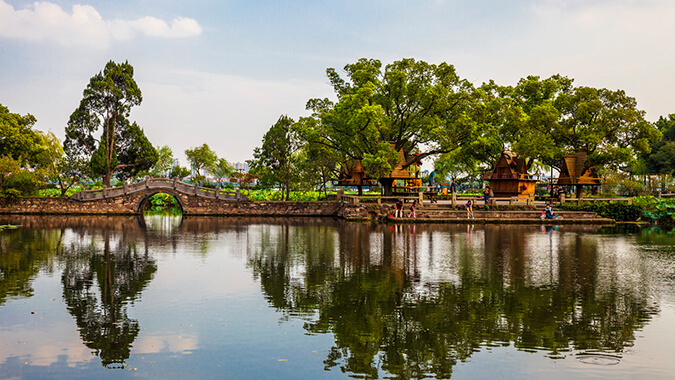 Li Lake, originally known as Qi Lake or Wuli Lake, is said to be the place where Fanli, the minister of the state Yue, had a boat tour with the beauty Xishi during the Spring and Autumn Period. 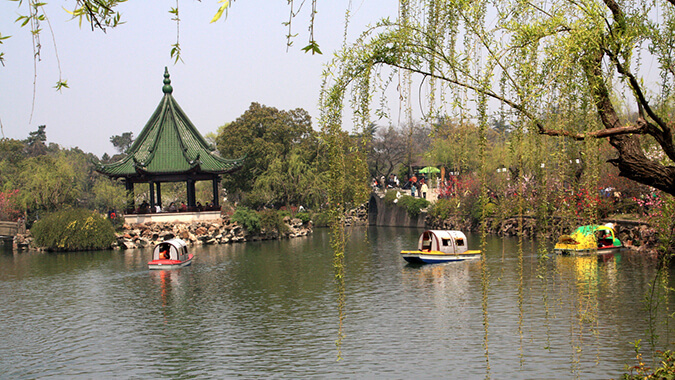 The lake was named after Fanli and the garden was given the name because of the lake. In the early years of the Republic of China, a native of Qingqi village called Yu Xunzhen built “Eight Sights of Qingqi”in lakeside, known as “the district with green hills and clear waters”. From 1927 o 1936, with the help of Yu, a fellow villager Wang Yuqing and his son built Li Garden with the utilization of original foundation. In 1930, Wang’s relative Chen Meifang built “Fishing Village”in the west of Li Garden, which was also called “Sai Li Garden”. After the founding of the People’s Republic of China, the corridor of Li Garden was extended to connect with “Fishing Village”in 1952. Around 1980, it was widened with new area called “layers of waves and overlapping shadows”. Li Garden is such a beautiful and radiant place that surrounded by winding bank and water on three sides. The pavilions, corridors and bridges among verdant trees and shadows of flowers give off a unique charm of water garden. The contemporary literary giant Guo Moruo chants the beautiful line: ”If you want to know the fun of Li Garden, you should ask the child playing near the cliff”. Moreover, the rockery of Li Garden is on pile near the water and it becomes vivid because of the water. With the combination of rocker and water, it fully shows the boundless interest of “artificial hill and true water”.